Established in July 2014, Premier Gold Refinery, specializes in Assaying and Refining services of the highest Global Standards. These services have helped define our reputation as a pioneer in the precious metals sector. Complementing our Assaying and Refining services are our Products – Gold and Silver Bars, machine made with the Finest of finishing. 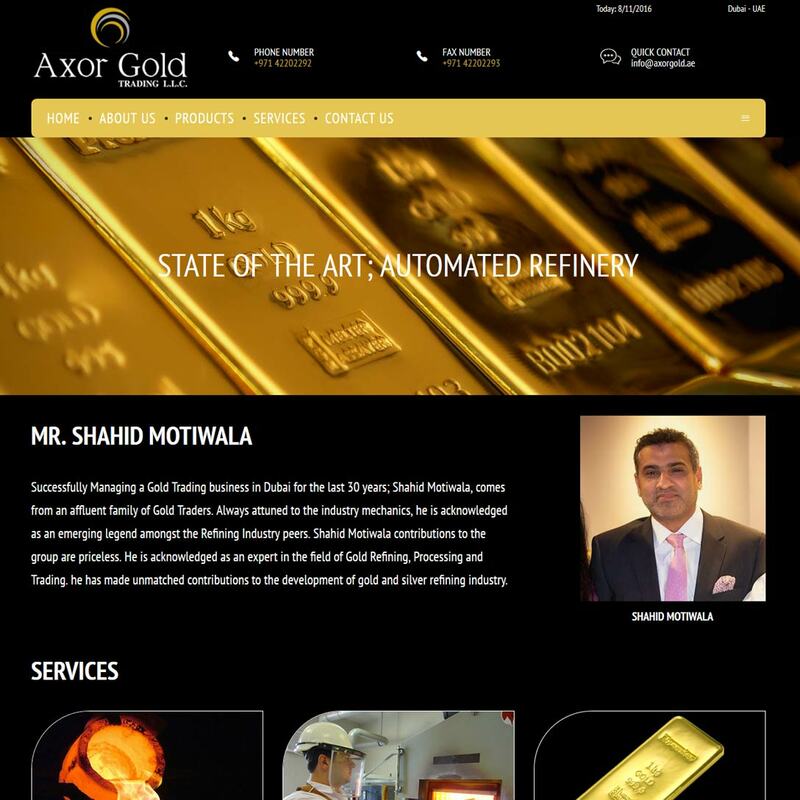 Axor Gold are a relatively new (2014) full-service precious metals dealer based out of the Deira Gold Souk, offering assaying, refining, casting and minting of bullion bars and grains – alongside the buying of precious metals scrap. Our Axor Gold reviews are powered by Bullion.Directory - The Metals Investment Portal.